st Destiny’s Child break up, now the Internet is buzzing about the separation of the First Family of the South, T.I. and Tiny. According to FreddyO.com, the “Kang and his ole lady” allegedly decided to revisit the single life after arriving in Los Angeles for this year’s Grammy Awards(Side note: It’s always something with Grammy’s and black celebs). Currently filming a new season of their reality show, T.I. and Tiny: The Family Hustle, supporters of the couple are wondering if VH1 will use the separation as a story line in the upcoming season to gain ratings. 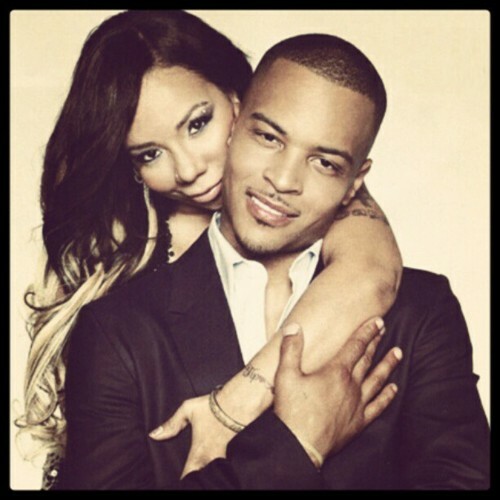 Hopefully, “Tip and his ole lady” are taking a break and will work out their issues. Being married for 4 years but knowing each other forever, you may need a temporary change of scenery. Keyword:Temporary. Since I’m a fan of ghetto love stories and huge supporter of the “Kang” and his ole lady.” After all, a couple that hustles together, stays together. Share your thoughts on the story below. This entry was posted in Celebri-TEA and tagged destiny's child, Grammy Awards, t.i., T.I. and Tiny's The Family Hustle, tameka "tiny" harris, tiny, VH1 by JimmieValentino. Bookmark the permalink. Separation dang T.I. she already getting down with having threesomes what more do you want.